An average of two thousand children attend our weekly child evangelism classes. Bible stories are presented in creative ways, and all who attend receive a cup of milk and a scoop of peanut butter. Weekly adult evangelism and discipleship classes are offered. Weekly adult literacy classes are held with average attendance of 25. 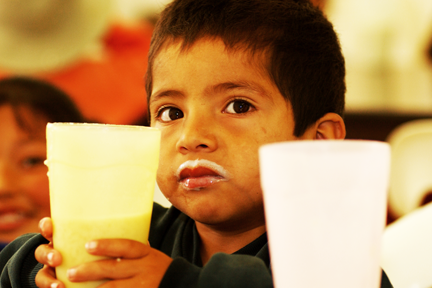 In an area blighted by poverty over 100 children are given breakfast before attending school. Rancho de Cristo, our rehabilitation center, offers a one-year program which includes literacy and vocational training. Hans and Nancy Benning and Tito Quiroz are also vitally involved in the Benning Music Academy in Ensenada, where over 700 students, including prisoners, are given the opportunity to study music. There are 250,000migrant field workers in Sinaloa from all over Mexico. Our ministry teams help provide for their spiritual and physical needs. Sinaloa will be the next area of expansion for His Ministry.